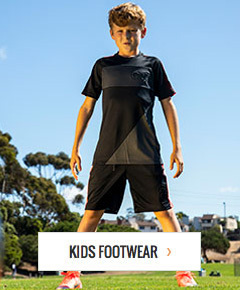 Shop for a new pair kid's turf soccer shoes at the ultimate online soccer store – soccerloco. Browse the latest styles of youth turf soccer shoes at the lowest prices from leading brands like Nike, adidas, Puma and more. We carry a wide variety of kid's turf soccer cleats including footwear for all playing styles that compliments the skill set of youth players. We offer low cost flat rate shipping and hassle free returns on all orders allowing you to confidently buy and save online. Browse our wide selection of turf soccer cleats for kids today to find the perfect cleat for your youth player's game.